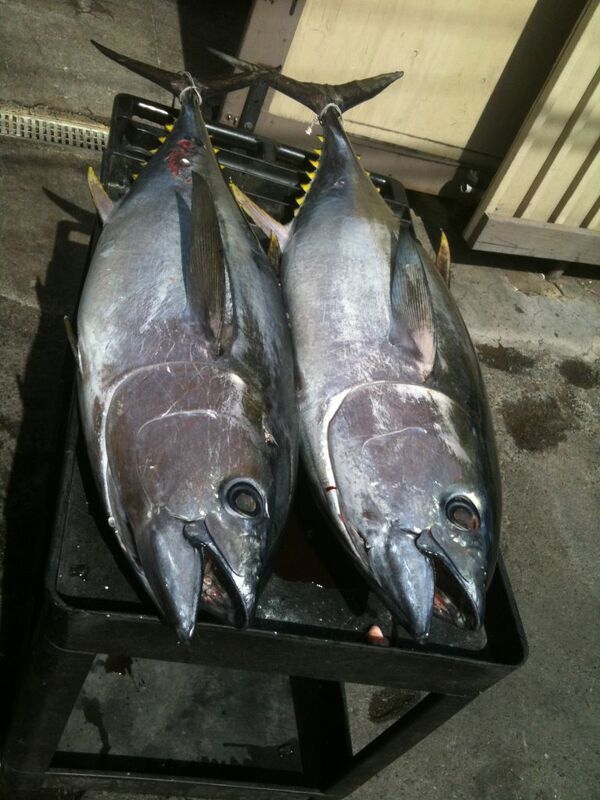 Big eye tuna — The Local Catch, Inc. - The Best Rhode Island Seafood! Biology: The Atlantic bigeye tuna, so named for its large eyes, is found throughout the Atlantic Ocean, and spawns in the Gulf of Guinea. It can weigh up to 400 pounds and is near the top of the food chain. It preys on smaller fish, especially mackerel, squid, and shrimp, and is preyed upon by large billfish and toothed whales. Bigeye tuna school with yellowfin tuna, skipjack, and whale sharks, and are often found in association with drifting objects. Sustainability status: Bigeye populations declined rapidly in the 1990s, but have since stabilized near sustainable levels. The National Marine Fisheries Service no longer considers it overfished. More information is available here. Harvest: Bigeye are caught using rod and reel. Nutritional facts: Bigeye tuna are a good source of selenium, vitamin B6, thiamin, and protein. Available filleted, from July to December. eturn to species guide to continue browsing species.